information such as title, author and publication or journal details for each item. items that are credible, reliable, relevant and time‐appropriate. a larger research project, or it may be its own stand‐alone entity. 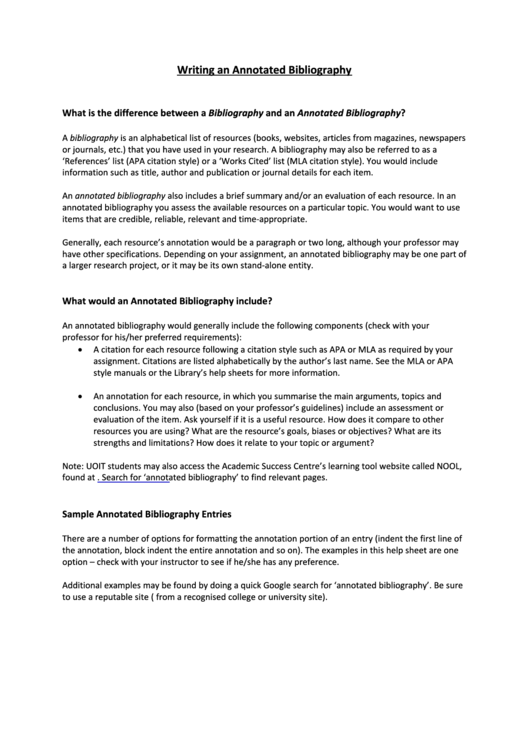 What would an Annotated Bibliography include? style manuals or the Library’s help sheets for more information. strengths and limitations? How does it relate to your topic or argument? option – check with your instructor to see if he/she has any preference. to use a reputable site (e.g. from a recognised college or university site).